Visitors can find the perfect oceanfront vacation rental with Coastal Realty Vacation Rentals. 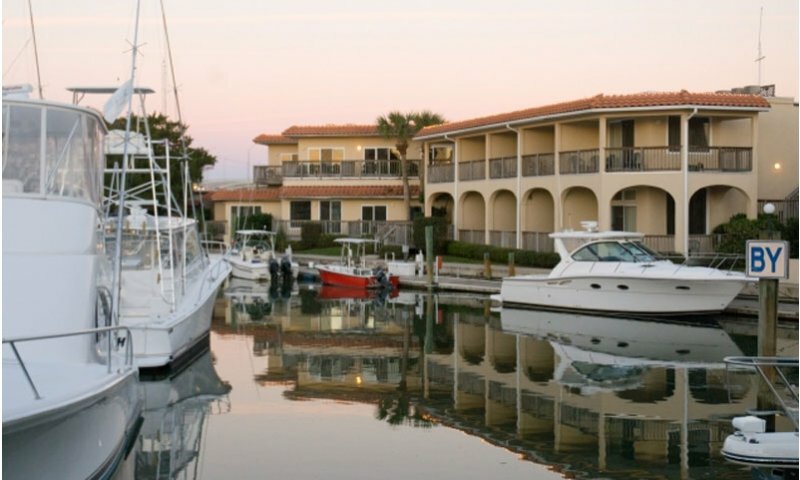 Coastal Realty Vacation Rentals has been offering oceanfront condos to St. Augustine visitors for more than 22 years. They have over 500 vacation rentals that range from one- to three-bedroom units, most with private beach access, swimming pools, tennis courts, and private balconies, and many of them pet-friendly. Coastal Realty's owner/broker is a St. Augustine native, and she and her staff have all the local experience vacationers look for. They are experts at matching up each guest's needs with one of their quality oceanfront accommodations. Each rental is backed by some of the best personalized service in the St. Augustine beach rental community. Coastal Realty's motto is, "Come as our guest, leave as our friend," and this commitment shows in everything they do, from initial bookings to easy check-outs. They have on-site offices at many locations, and offer 24/7 emergency maintenance services. Coastal Realty and the Seaside at Anastasia team could not have been any better form start to finish. We were unfortunately renting due to the storm damages to our home, but after settling in, found that our stay turned into a vacation. The kids loved the heated pool and clubhouse with books and games. The office was very friendly and cheerful. Since Hurricane Matthew, we have had 2 different groups rent from Jamie at Seaside and they all loved it too! Huge THANK YOU to Jamie, Seaside at Anastasia and Coastal Realty!!! We have had our property listed with Coastal Realty for over a year now and have been 100% pleased. We only wish that we had changed property management companies sooner. Our guests are totally pleased with Coastal's service so that tells me that we chose the right company this time! I think the negative reviews are old ones and that someone just had a grudge! This company has always been very helpful, responsive, and attentive every time that I have ever rented from them. Thank you. Devon and Judy are both unprofessional and have arrogant attitudes. They violated laws and have no problem practicing discrimination. Devon told a customer to "get a grip". She's the one who needs to get a grip on reality. She thinks she's doing her customers "favors" by doing the bare minimum. It's not a favor if she's getting paid to do it. Her communication skills are terrible and both she and Judy are incredibly rude. Their priorities are backwards. They have no idea what good customer service is. The place we rented was filthy and covered in grease, paint dust and the carpet was stained. Do not give coastal your business unless you want your time and money wasted. The owner is not focused on customer service and negates attempts by her clients to address important issues and community concerns that would ultimately benefit not only the community she manages, but also her reputation. One gets what they pay for and this is a prime example. Management is unavailable and unresponsive to complaints. Guests come in on Saturday afternoon, office is closed on the weekend. As an owner, I would not recommend this company to lease your unit. Customer service is NOT a priority. Communication is nearly non-exixtent. Do not rent from Coastal Realty! The office staff is horrible to deal with and would rather sweep a problem under the rug than fix it. Devon and Judy have both shown their uncaring attitude towards many renters. Look somewhere else is you want a decent place to stay!